So, that was 2014, eh? What a year it’s been. Turbulent. In turns awful, in turns amazing. Personal failures that led to new bouts of personal strength, and the end of one of my favourite publishing jobs which came about just in time for what is almost certainly going to be my most favourite publishing job yet! Personally life has been an odd one. Started off in a great place, hopelessly in love, certain I’d found my soul mate, but that soured throughout the year until it totally collapsed in August. Which was fun. I still feel I had found my soul mate, my ‘one’, alas it seems he was only the ‘one’ for the best part of two years. Of course, as one would expect, the ending of it was terrible, with all kinds of emotional fallout, leading to distractions of the worst kind. But I came through it, and I now sit here able to look back and realise that for all the pain, I have grown once again. Probably became harder as a result, less forgiving of people. (Which explains my rather cold response to a family member who sunk into what I can only call alcoholism, to the point where she absolutely failed to take the advice and help offered to her. And also explains the dissolution of long-term friendship with someone who crossed a line I could no longer ‘go along with’.) I think I am now at a place where I’m actually looking to where my next ‘one’ is — I’m sure he’s out there somewhere. Only this time it’ll be someone who isn’t so far removed from my own age — not that I believe in the idea of an age-gap. After all, a number is just that, but the practicalities of a relationship with a large age-gap are something to be considered. And heeded. What’s the point in going through a bad experience if you’re not willing to learn and do better the next time? Professionally life has also been an odd one. I started the year in the same role I’d inhabited for the last four years, that of range editor for Space: 1889 & Beyond, only I could already see the end in sight. Things were falling apart behind the scenes — my relationship with my publisher was souring drastically. Was this connected to what was going on in my personal life? It’s entirely possible. At least, the two things did not help each other. I still intend, one day, to tell of my experiences and view on how the series failed, but for now all I can say is I was personally disenfranchised by the whole experience, and was determined to see it end, so that it could be reborn in a stronger manner. So, mid-way through the year as Space: 1889 & Beyond limped its way to the final gate, I found myself in the position of being commissioned to oversee an exciting new project. And all because of a simple Facebook status I wrote! 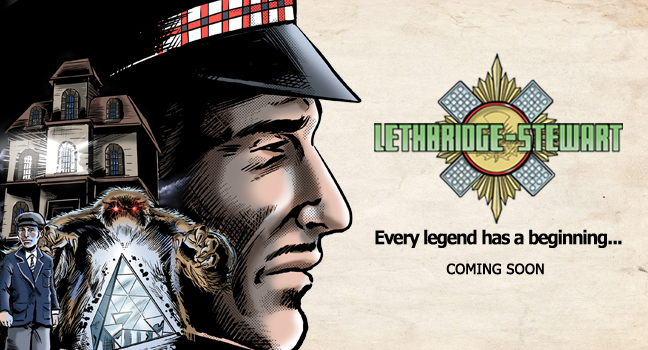 Of course, anybody who has read this blog (and many more besides) are aware of the project now — Lethbridge-Stewart, a new series of novel based on the legendary character from Doctor Who. The series still hasn’t begun, but I have been working hard on it since the beginning on July, pretty much every day since the license was agreed. It has been a crazy six months, working alongside authors who I have always counted among some of my favourites, writers responsible for some of the best Doctor Who prose during the 1990s. The thrill of announcing the series at the start of December cannot be described — the news spread like fire. It seemed everybody was talking about. Including Digital Spy! Insane, I tell ya. My publisher totally didn’t see it coming, but I think I did, as he remarked to me. 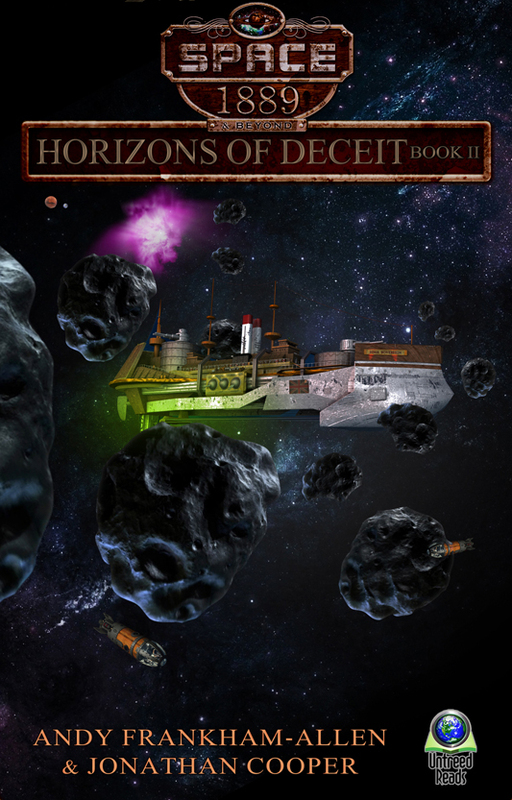 Because I had been working on for quite a while, I think I started to get a feel for just how big a deal it was, whereas Shaun was busy on other projects for Candy Jar Books. But when the news was out there, well, then Shaun learned just how big this was, too! And so here I am. The end of 2014, with what may well be my biggest book yet on the verge of being released into the hands of the public (the verge, in this case, being late February), single, but pretty content with how things are. Sure, they could be a lot better, but when I consider all that happened in the last six months I realise I’m a very lucky chap indeed. I’m the controlling element of a series which is going to bring a hell of a lot of readers excitement and fun, and I get to establish the official story of one of the biggest television characters of the last fifty years. I have some amazing people to work with over the next few years — hell, just the following year will see me work alongside some of the best authors out there, and this is only the beginning. So, yes, it’s been an interesting year. At times hard, at times the most fun ever. 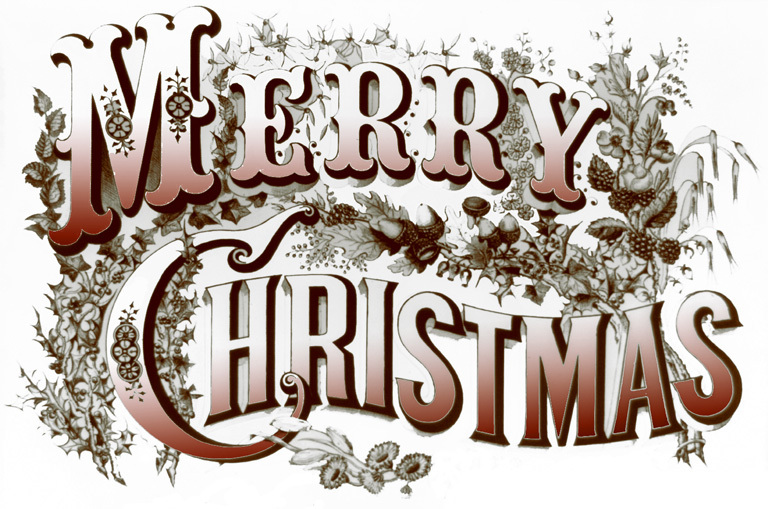 First of all, a very Merry Christmas to all my readers. I hope you all get a chance to spend the festive time with your loved ones, get some lovely presents (including many books!) and have a most awesome New Year! Over at Type 40, the Doctor Who blog run by me on behalf of Candy Jar Books, we’ve arranged a very special Christmas gift for fans of Sir Alistair Lethbridge-Stewart and The Web of Fear; an exclusive interview with Hannah Haisman, the Executor of Mervyn Haisman’s Estate and the licensor of the Lethbridge-Stewart book series. So, the year ends with a bit of a mixed bag. 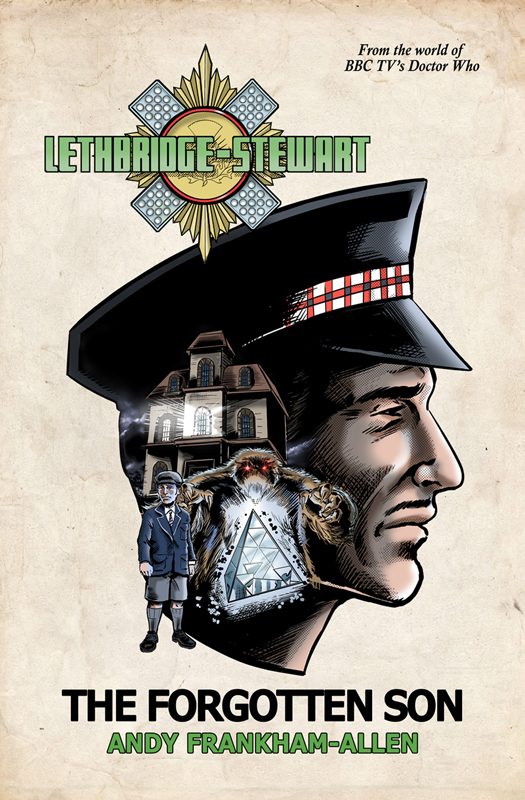 As one series of novels ends (for now) I find myself moving from one range to another, with the arrival of Lethbridge-Stewart. It’s sad that Space: 1889 & Beyond has temporarily ended like this, as we all spent a lot of time and effort on that series, and I feel we created some really good stories and made some nice in-roads with great themes and characters. But, the future looks bright for me as I guide a legend of Doctor Who and get to work with some authors who inspired me back in the ’90s and I get the joy of bringing back some of the best Who authors out there, some of which have been sadly neglected by Doctor Who prose since 2005. 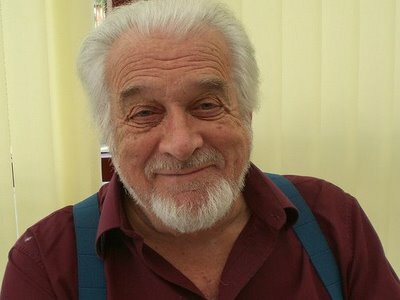 Nicholas Courtney: 16th December 1929 – 22nd February 2011. 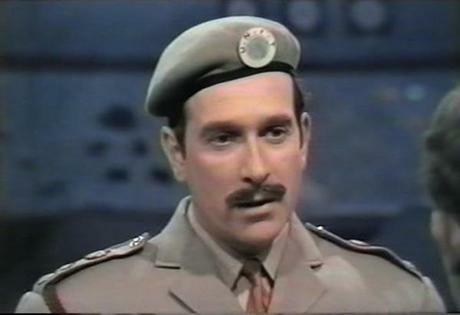 Whatever Happened to… The Brigadier? 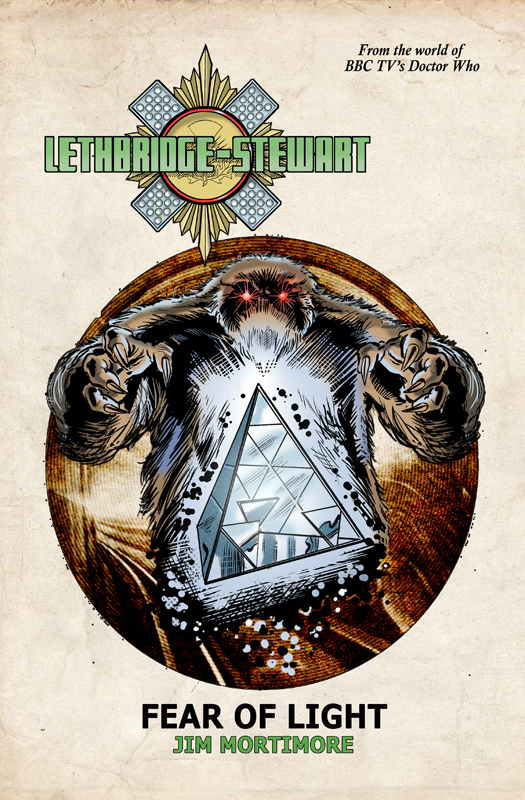 After a rather hectic last week with the official announcement of Lethbridge-Stewart, things have quietened down a bit in the lead-up to Christmas. 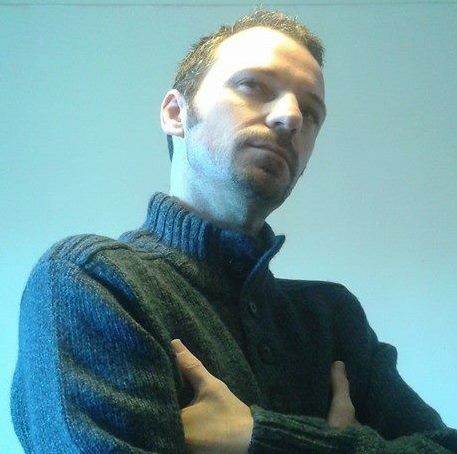 I think I’ll do a bit of a news round up thing later this week, but for now let me draw your attention to the a three-part article written for Candy Jar’s Type 40 blog by Chris McKeon, in which he looks at the influence, and absence, of Sir Alistair in Doctor Who since 2005. Well, it’s only been a few days since the series was announced, but already a lot of interest is being generated (the series even made it to Digital Spy!). With all this interest a few questions have begun circulating, so I thought I’d take a moment to address a few of them, just to clarify things. Are they official or fan made? The short answer is… they are official. But let me explain. No, they are not licensed by the BBC, but that’s because they don’t need to be. The BBC does not own the characters or concepts created by Mervyn Haisman & Henry Lincoln for their Doctor Who scripts. The copyright is owned by the Executor of the Haisman Literary Estate and Henry Lincoln, and we have a license with the Haisman Estate and the approval of Henry Lincoln. But yes, they are fan made, in that most of us involved in producing these books are fans, in the same way as the TV series is, the BBC novels are, and Big Finish’s output is. Yes indeed. We’re even looking into setting a pre-ordering system for eBooks. How will you do the back-story — in relation to the books and audios? Our main point of reference will be the TV series. This is the only source we will go to great lengths to not contradict. There is not a great deal of back-story for Sir Alistair on television; most of what we have learned was revealed in all the novels and audio dramas produced since 1991. Now, it is a fact that much of the novels and audios conflict (as does a lot of the TV series, come to that), and it is generally considered (and stated in both respective mediums) that they take place in separate realities, both spun-off from the prime reality of the TV series. Our books will be no different. 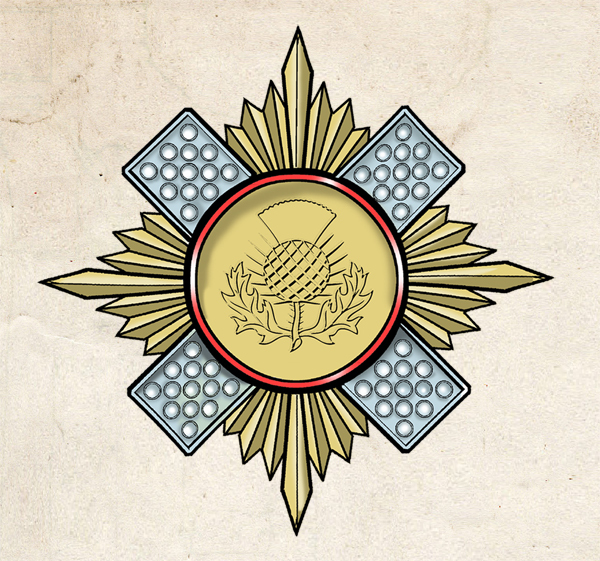 We spin-off from the television series and are set in that reality and will not contradict what we know of Sir Alistair from that medium, however there will almost certainly be echoes of the continuity established in the novels and audios, suggesting that certain events happen in all realities, although not always in the same way. 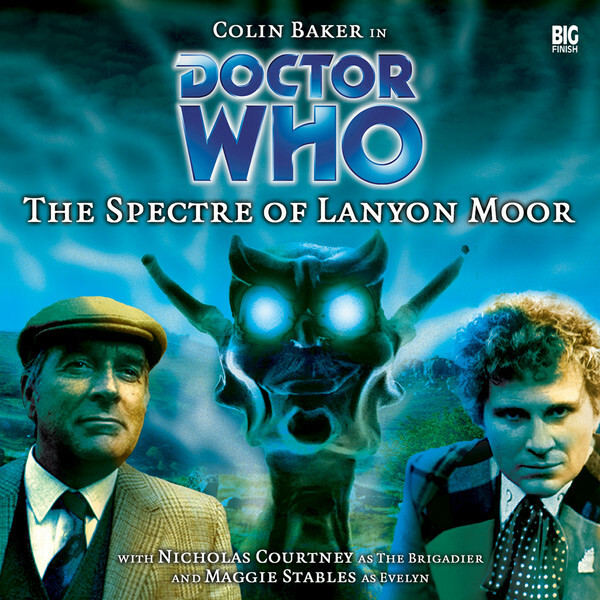 A good example will be, in most of the books and audios it is accepted that Sir Alistair was born in 1930, and we see no reason to contradict that as it fits what we’re doing and it makes Sir Alistair around the same age as Nicholas Courtney. Of course, all this said, if fans wish to tie everything together, then they are most welcome to do so. After all, that is part of the fun of being a fan, trying to make everything fit. I do it, we all do it! But as professionals we can’t be bound by continuities outside of the TV series as to do so would only inhibit and constrict what we’re creating. Will the UNIT dating issue be dealt with? Not directly. We’re not dealing with UNIT, but we do detail the years leading to its formation and thus fit within a certain timeline. The guidelines make it clear, for the authors, in which year the series is set (initially, that is), but they have been expressly told not to state the year within the narrative. There will be clues, both subtle and not-so, for those who wish to work it out. But we won’t be directly tackling the issue. The UNIT dating issue has existed for so long now, where’s the fun in solving it? Will the Doctor make an appearance? Short answer; no. It’s not within our license to use anything owned by the BBC, and that especially includes the Doctor. Will any other companions appear? Again, no. There are a few companions not owned by the BBC, but to use them would almost certainly muddy the water. Will it be the ’60s-’80s Brig and UNIT or the CyberBrig? Neither. 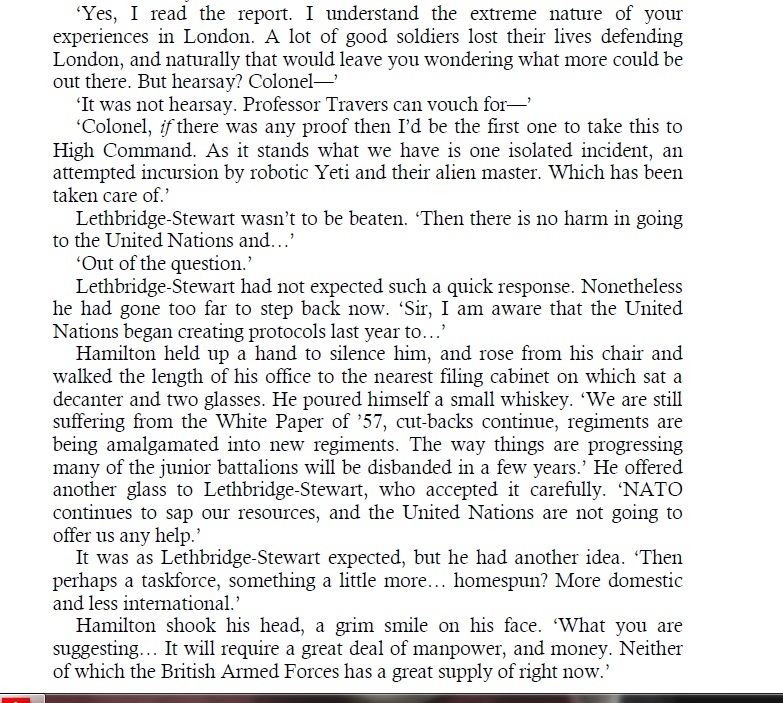 The announcement has made it very clear that we’re dealing with Colonel Lethbridge-Stewart directly following The Web of Fear. At this point he has only met the Doctor once. He has only dealt with an alien threat once. And his entire world view has been changed by this. So, they were a few of the most asked questions (even the last one! ), and these are the official answers. We’ll explore the behind-the-scenes more in the lead-up to the release of The Forgotten Son, but for now I hope this reaches you all well. If there are any more questions or concerns, please do not hesitate to ask. The first four books (or the first, if you wish) be can be pre-ordered directly from Candy Jar Books. All pre-orders will be shipped at least a week prior to official release. A little bit of insight on Nick’s book – the fourth of the first batch. Out next year. 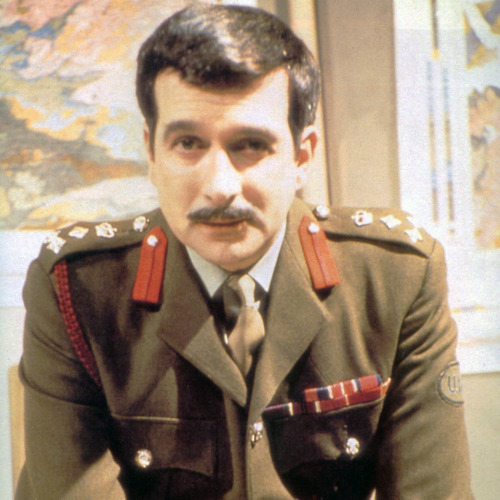 Lethbridge-Stewart. The fellow you’d want on your side in any fight. Back in the summer I was offered something big. Something very big and very exciting. I was not able to tell anyone about it, however, until now. 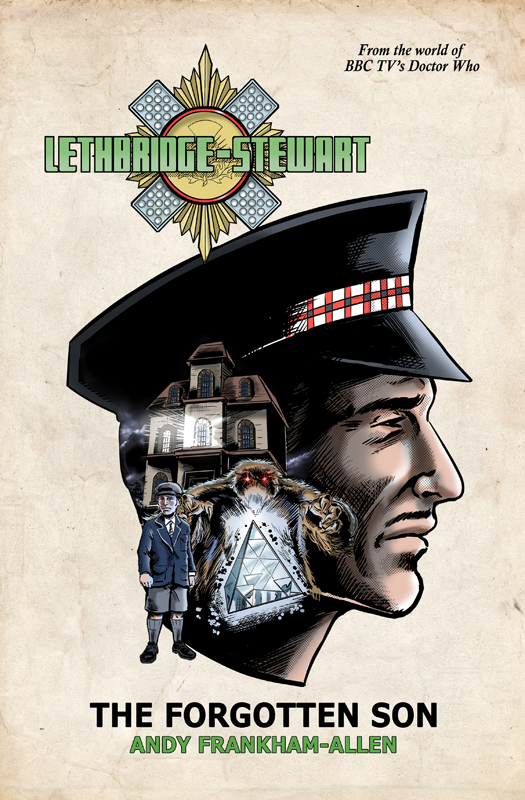 So, this is it: I am writing the ‘season finale’ in the first series of a new set of Doctor Who spin-offs featuring the adventures of the young Brigadier Alastair Gordon Lethbridge Stewart, published by Candy Jar Books. My first novel in ten years! (This was the last). No, I can’t quite believe it either, but it’s real, as reported on Doctor Who News.